If you need a goal, Michy Batshuayi is proving why he is the man to call. That is because the Chelsea striker now boasts the best minutes-per-goal ratio in Premier League history, having scored twice in a 29-minute appearance to inspire a 4-2 comeback victory over Watford. Batshuayi’s rate of a goal every 60.6 minutes is ahead of Manchester City’s Gabriel Jesus – and the top five consists solely of current Premier League players, including the team-mate he replaced at Stamford Bridge on Saturday. Batshuayi is also fast becoming one of the best substitutes in the Premier League. Six of his seven goals since joining Chelsea in the summer of 2016 have come from off the bench. Only Olivier Giroud, with seven for Arsenal, has recorded more goals as a substitute in that period. 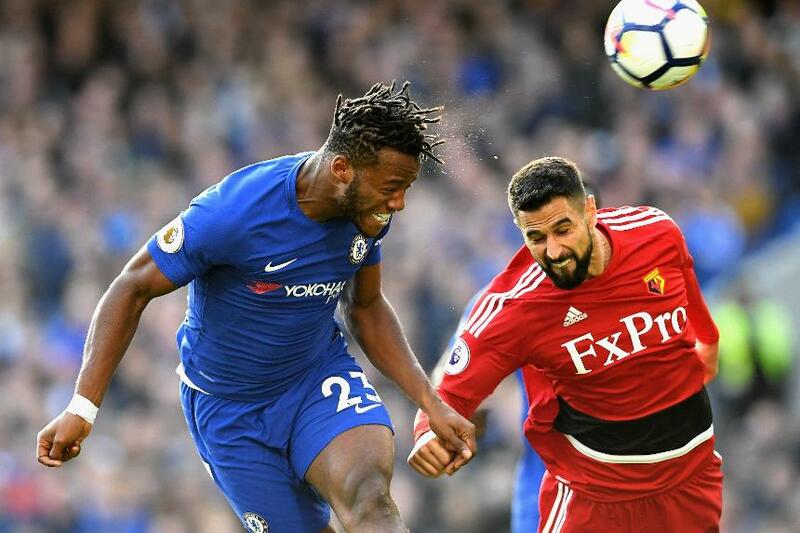 But with Antonio Conte describing the 24-year-old's impact on Saturday as "incredible", Batshuayi will be hoping to keep up his deadly goal rate as a starter when Chelsea visit AFC Bournemouth in Matchweek 10.